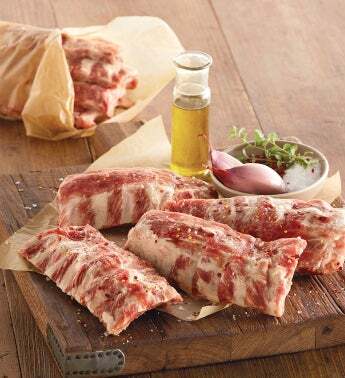 Expertly carved, these baby back pork rib half-slabs are ready for you to prepare any way you like. Season with marinades, dry rubs, or our Peppercorn Steak Rub that carries a flavorful kick. Grill hot and fast or smoke low and slow for fall-off-the-bone tenderness and incredible flavor.